A picture is worth 1,000 words, a video says it all! Whether you are a do-it-yourself homeowner or contractor, at Rockford Chimney Supply we understand you may have detailed questions about your installation. 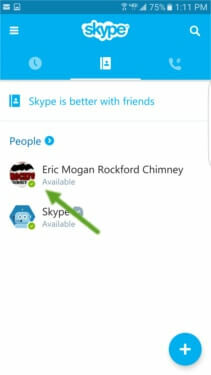 This is why we offer the ability to make a video call through Skype with one of our Certified Chimney Technicians - in fact, we're the only company in the industry to provide this one-on-one service. Show us your setup, ask us your questions, all in real time! Follow the easy step by step instructions below. If you are having trouble, please contact usfor help. 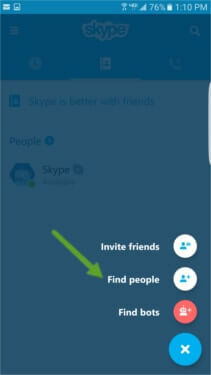 Step 1: Download Skype to your mobile device (cell phone, tablet, Ipad, etc.). 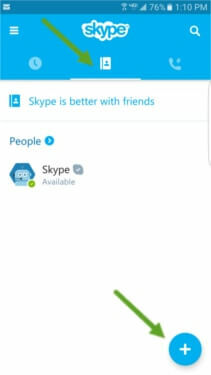 Create a login with Skype. Using a mobile device will allow you to move around and show us your installation & go over questions together. 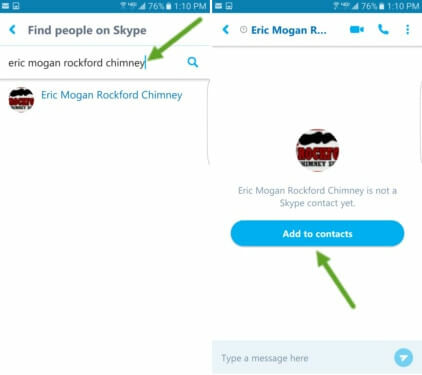 Step 2: Once you have logged into Skype you can search for one of our Chimney Technicians. 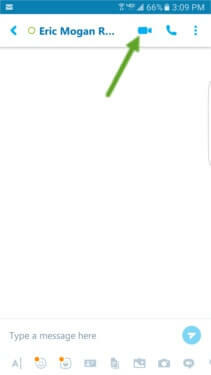 Be sure you click on the middle icon (top green arrow) and then click the plus sign (bottom green arrow) to start searching for one of our Certified Technicians. Step 3: Click "Find People". Step 4: In the search bar, type one of the names of our Certified Technicians - see their names below. Type the names exactly as shown and you will see the Rockford Chimney Supply logo next to their name. Once you find your Technician, click "Add to Contacts". Step 5: Once you click "Add to Contacts", this screen will appear. Click the check mark in the corner of the screen to confirm. 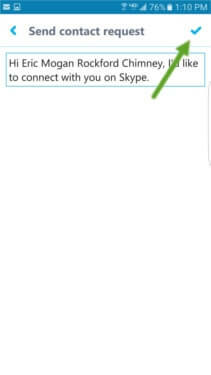 Step 6: When you see a green check mark next to the Technician's name and it says available, the Technician is available to video call. Step 7: Now the fun begins! To make a video call click the Technician's name and click the video camera icon. It's important to click on the video camera and not the phone symbol. Once the Chimney Technician answers, you'll be able to show us your questions and your installation setup. Note: When video calling with us, it will be easier for you if you switch the view from facing you to facing outwards so you can see what you're video taping (click the arrows in the top right of the screen). If we are unable to answer, please leave us a message and we will re-connect with you once available.